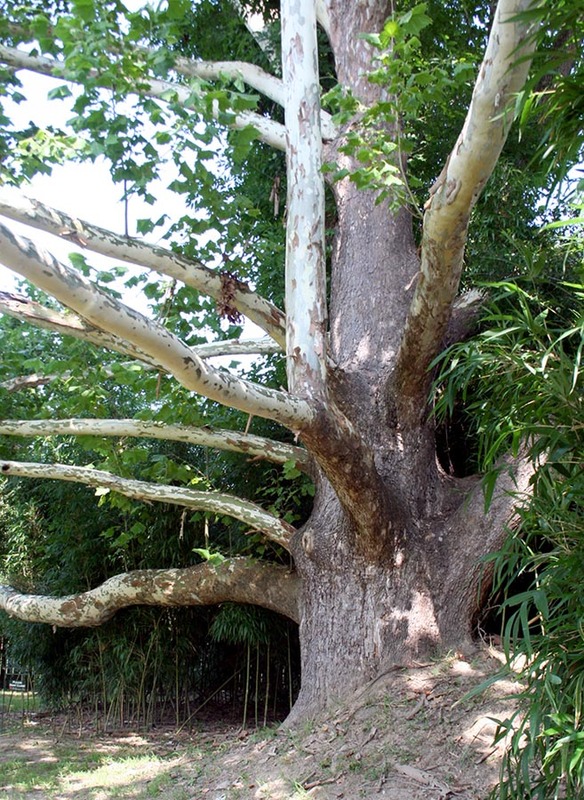 This grand old sycamore, a contender for the largest in the state at seventeen feet in circumference, has been estimated to be two hundred years old. Many Native American artifacts have been found beside the tree, leading most to consider it an early settlement tree. Most of the community remembers generations of cattle and farmers using the shade of the tree every summer. The Carahills II Manor wedding chapel was developed adjacent to the tree so that couples could be married near it. At a public ceremony at the tree on March 5, 2010, the town of Gallaway celebrated its first Arbor Day by planting a young sycamore. Mayor Nick Berretta presented a plaque naming the old sycamore the Carahills II Family Tree.